Famously described as the ‘First Growth of the Languedoc’, Mas De Daumas Gassac remains unique in the region. The world-famous red is an intriguing blend of Cabernet Sauvignon along with a mix of indigenous and more unusual varieties from the south of France, such as Grenache, Cinsualt and Tempranillo. 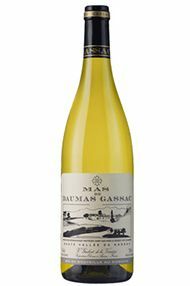 Mas De Daumas Gassac Blanc is a similarly fascinating blend of grape varieties, with Chardonnay and Viognier taking centre stage. Lauded across the wine world, not for nothing is this Domaine named the Lafite of the Languedoc. 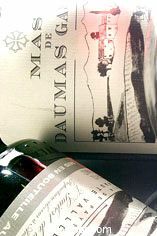 Mas De Daumas Gassac is the brainchild of Aimé Guibert, oneologist Emile Peynaud, and geologist Henri Enjalbert. 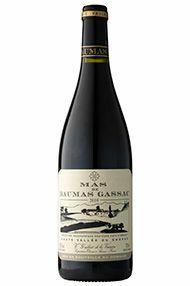 Described famously as 'The First Growth of the Languedoc' by Hugh Johnson, Mas de Daumas, despite its flattering imitators, remains unique, primarily because its red wine is dominated by Cabernet Sauvignon. The estate planted its first vines in 1974, in the unique and gentle climate of Aniane just to the north-west of Montpellier. Here they identified a combination of Burgundian terroir and an extraordinary micro-climate, dominated by gentle garrigue slopes and cool underground springs. This is now considered the finest terroir in the South of France, and led to the challenge to reproduce the quality of the best Châteaux of Médoc in the Languedoc. Many of the leading Languedoc estates have now established themselves here, but it was Mas De Daumas Gassac who pioneered the production of world-class wine in the region, and can still be considered its finest producer. When Aimé Guibert retired the gauntlet passed to his sons Samuel and Roman, who have proved more than a match for the challenge. 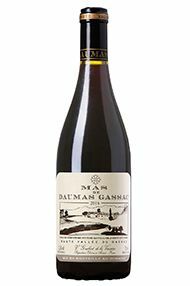 Upon appearance, The 2014 Mas de Daumas Gassac Rouge displays a deep ruby core with a purple hue. The dominating Cabernet Sauvignon fruit is evident on the nose with aromas of ripe blackcurrants and bramble, amongst black rose petal, smoke, and a lick of liquorice. An immediate richness of black fruit greets you on the palate, which is carried through to the back of the mouth across a velvety texture. All components are working together, the tannins are long and fine yet providing a neat framework, alcohol is modestly low and allows the purity of the blackcurrant and red plum fruit to shine through, balanced with a cleansing acidity. Leaving a clean and lasting finish with a touch of bitter chocolate. 13% alcohol. Drinking 2017 – 2022+. 2009 was hot in the middle of summer, but the Gassac water-table had been well nourished in the Spring and the vines did not have to struggle too much. The Guiberts, pre et fils, have no hesitation in lauding the wine as a worthy companion, when mature, to the 2000, the 1988 and the legendary 1978. Why? Because the conditions allowed ripe fruit and soft tannins whilst not for a moment forsaking the virtues of balance, structure and length. Small grapes with thick skins are reliable qualitative precursors, it seems. The Cabernet dominates, as always, with the supporting cast made up of Malbec, Syrah, Cabernet Franc, Tannat, Pinot Noir, Nebbiolo, Dolcetto and Tempranillo to name but a few. The undulating vineyard is protected by scrub and garrigue, both informing the distinctive taste and adding a real sense of place. The Cabernet is quite reticent at the moment, its tannins primes inter pares.. the latent fruit character will emerge triumphantly after bottling and slowly but surely come into its own. Peonies, wild berries, sousbois and spice (the wine has seen 16 months of new barrique) are the dominant notes at present; but the precise descriptors will evolve as much as the wine over time, taking on even greater complexity and harmony. 2011 was relatively-speaking a cooler year in the Aniane Valley, and the wine has greater freshness than sometimes, greater purity and perhaps a greater sense of terroir. The fruit ripened nicely, if later, and the tannins are finely drawn, not for a moment forsaking the virtues of balance, structure and length. Small grapes with thick skins are reliable qualitative precursors, it seems. The Cabernet dominates, as always, with the supporting cast made up of Malbec, Syrah, Cabernet Franc, Tannat, Pinot Noir, Neboilo, Dolcetto and Tempranillo to name but a few. Peonies, wild berries, sousbois and spice (the wines has seen 16 months of new barrique) are the dominant notes at present; but the precise descriptors will evolve as much as the wine over time, taking on even greater complexity and harmony. The dominant Cabernet Sauvignon in this blend leads to lovely rich dark fruits and a pleasing sense of style. However, for me the real interest comes from the other varietals that are blended with this, they add real interest to the palate, with meaty, smoky characters coming through and a powerful structure that clearly indicates this will age very well indeed. 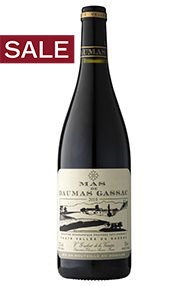 Mas de Daumas Gassac is a wine with a big reputation and in 2011 it clearly demonstrates why it is in such demand! Super ripe, dense fruit, plum, smoke, scorched earth, lavender. There is a hot, dark centre to this wine, but lots of perfume and freshness surrounding it on the nose. Lovely soft texture on the palate, absolutely seamless, with no edges at all, but balanced by fresh, integrated acidity. Reams of ripe red and black fruits on the palate with plum leading cassis in a dance all the way to the fine, delicate finish.